* Educating consumers and promoting awareness of their financial well-being. 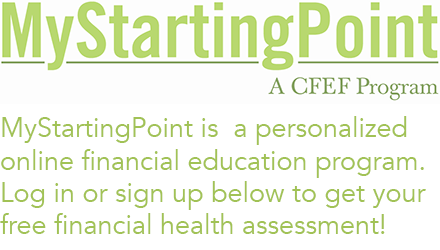 * Empowering individuals to make informed decisions about their personal finances. * Promoting financial education and community development programs among policy-makers, community leaders, and participating companies. * Encouraging communication and cooperation among community organizations, government agencies, financial institutions, and other community development practitioners. Send us your contact information and let us know how you would like to get involved!